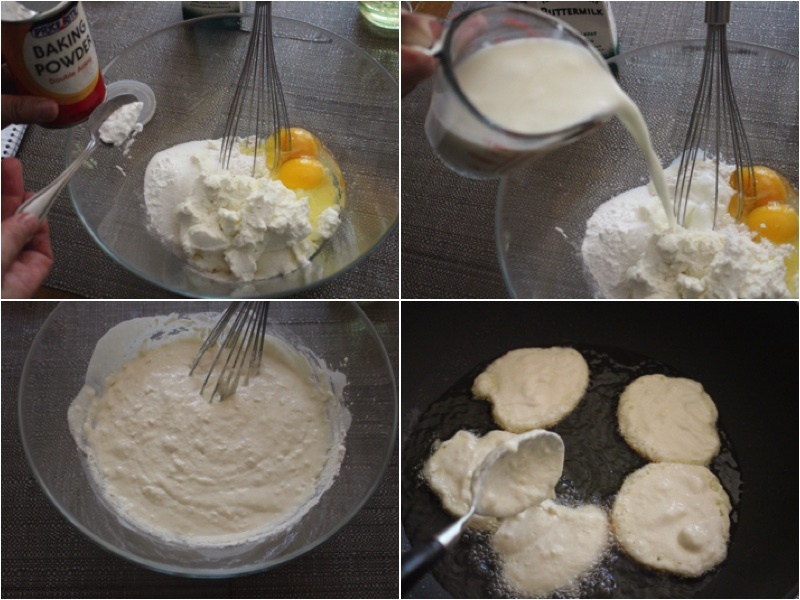 Ricotta Pancakes are great for breakfast since they are so easy to make and very quick to make! 1.) 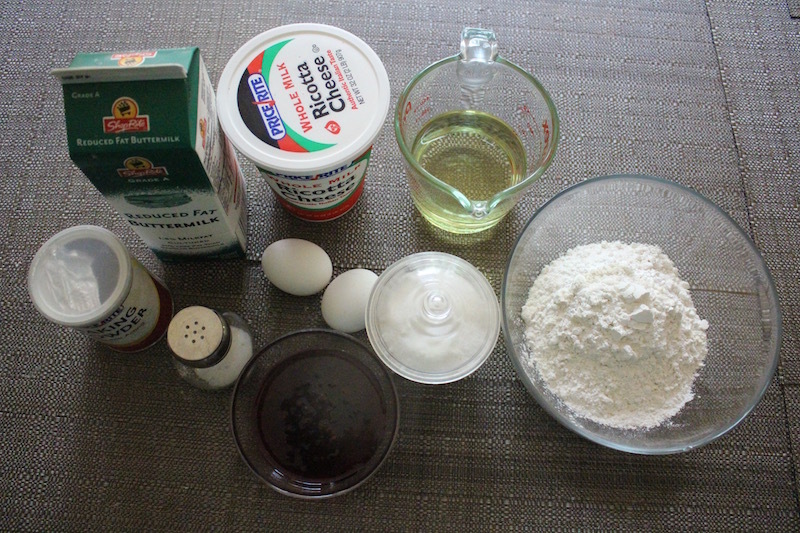 In a large bowl add sifted flour, sugar, Salt, Ricotta Cheese, eggs, Baking powder and butter milk. Mix together well and place tbsp’s on a hot oiled skillet on medium heat. 2.) Fry for 3 minutes on each side. 6 Minutes total. If you would like you can use black currant jam as syrup. Place on a serving dish and enjoy! Fry for 3 minutes on each side. 6 Minutes total. 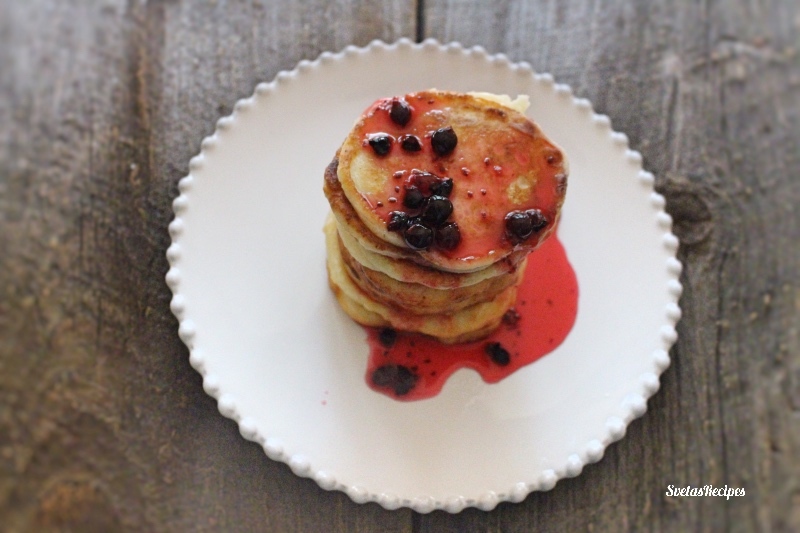 If you would like you can use black currant jam as syrup. Place on a serving dish and enjoy! Your pancakes sounds yummy. But in your ingredients you have oil. But in your instructions does not say what to do with the oil. 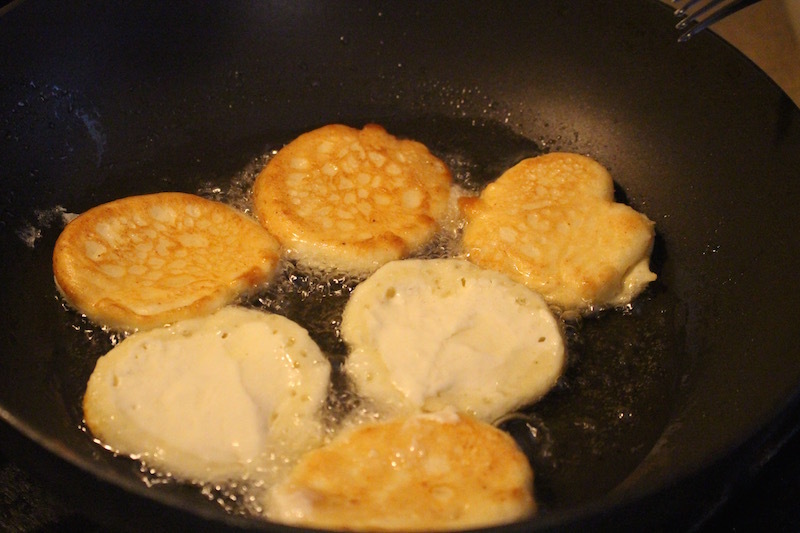 The oil is for frying as shown in the pictures.